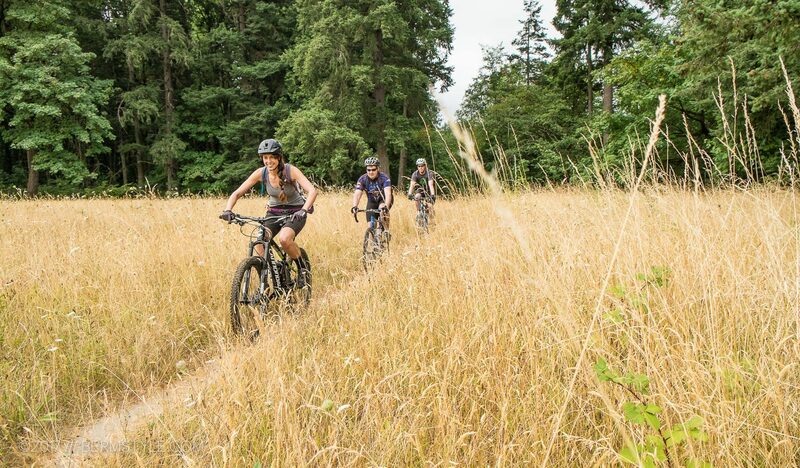 As residents of Portland, Oregon, we’re fortunate to have world class riding situated only an hour away. Sometimes though, you don’t want to deal with two hours of traffic in the car just to get some exercise. 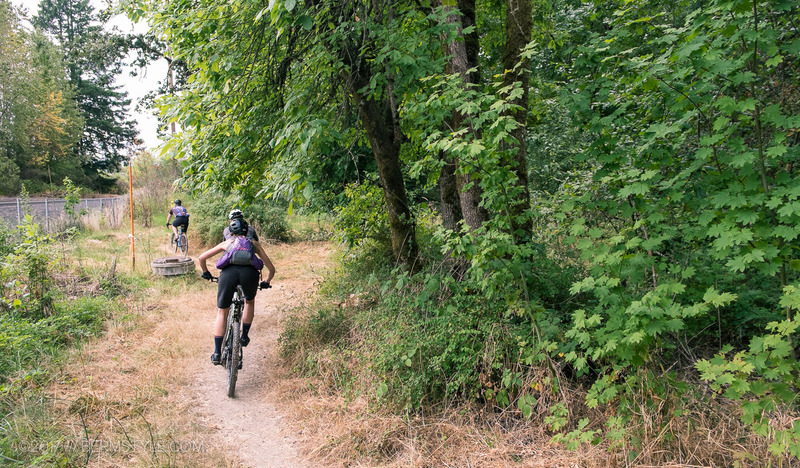 Whether it’s after work, or just a day where you’re looking to explore, we’ve been peering through Google maps and exploring every patch of green available in search of that elusive patch of urban single track. 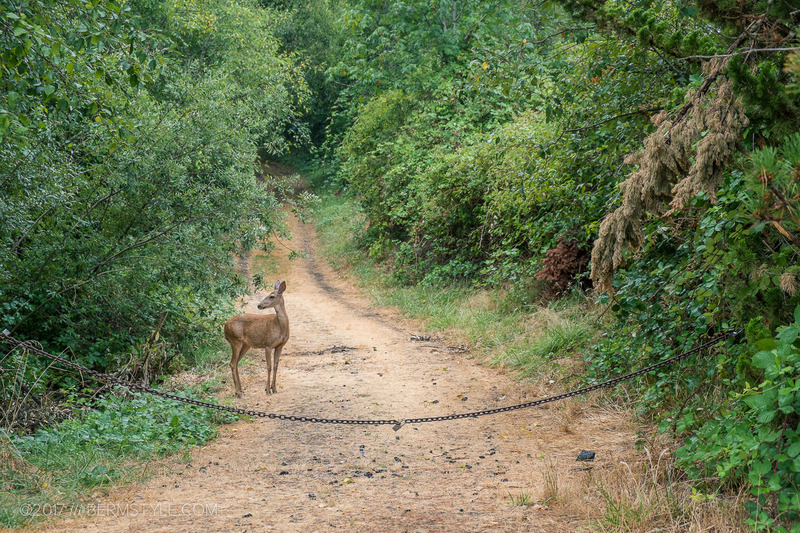 Last year we came across an unlikely find thanks to Inga’s outreach at Western Bikeworks in Tigard: a mixed surface trail route in Tigard, Oregon. 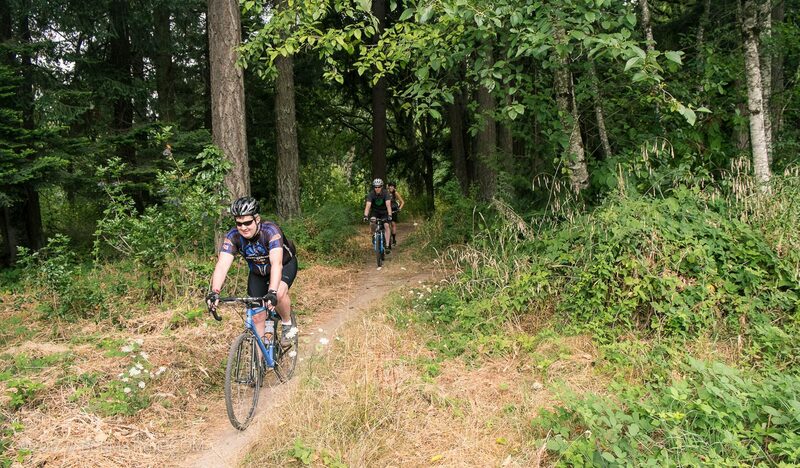 We met with Scott and Tim, members of the Tigard Parks and Recreation Advisory board for a tour of the off road cycling opportunities on city park land. The city owns a number of parcels that are existing or planned parks that could be developed to include additional cycling opportunities. Meeting our tour guides at the Tigard Library off Hall Blvd, we pedaled out to explore what we could ride. 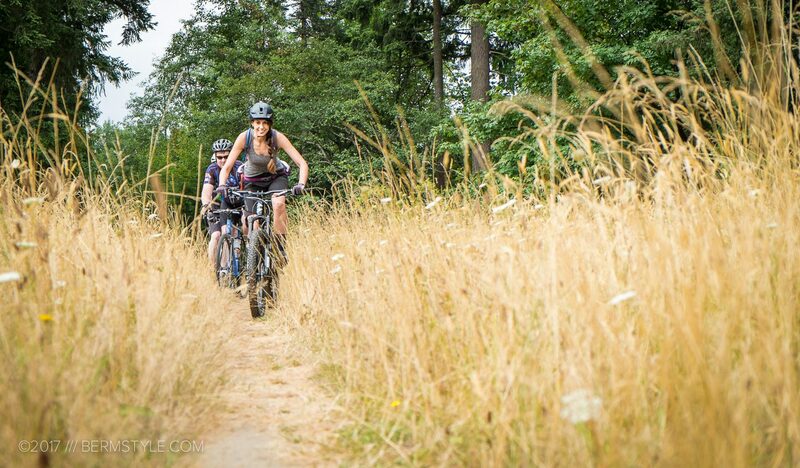 We began by pedaling through the Fields Property adjacent to the library. Part meadow and part forest, the route was short, but it was fantastic to find natural surface trail hidden in this urban context. 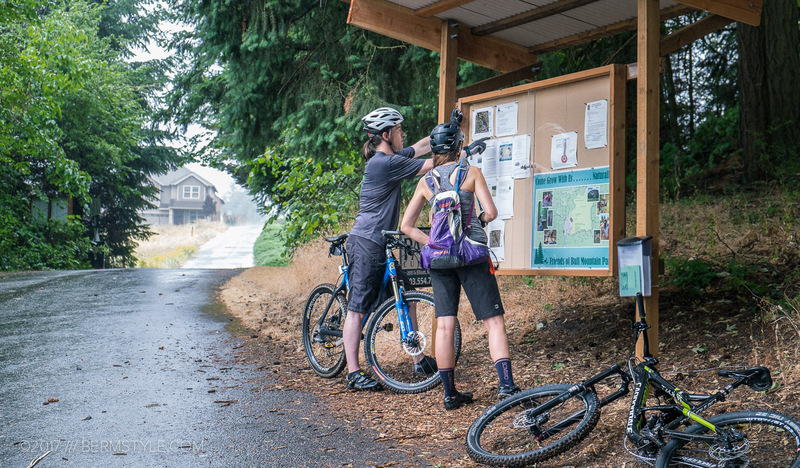 Using the Tualatin Valley Scenic Bikeway to connect our mixed surface route, we pedaled through Dirksen Nature Park to Bull Mountain Park. 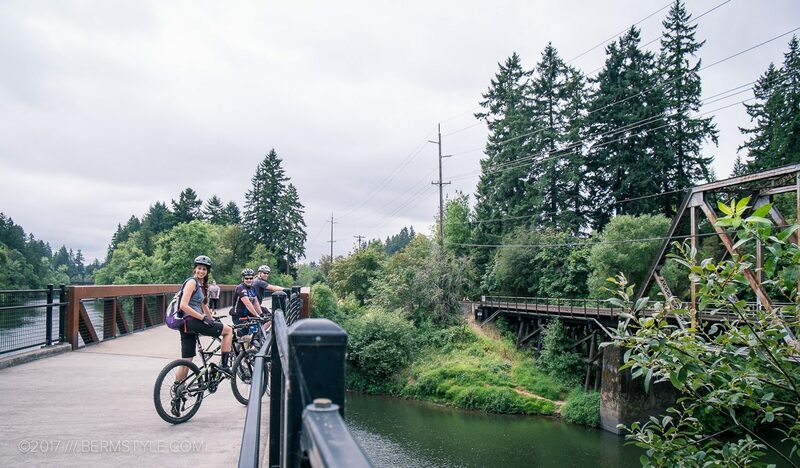 Our route took us along bike paths, through suburban neighborhoods and along creeks and streams, punctuated by urban single track. 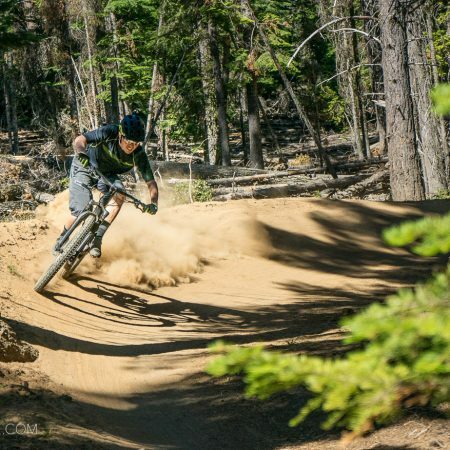 Since our ride (these photos are actually over a year old) Bull Mountain has been developed further. You can learn more on the development on the Friends of Bull Mountain Park Facebook page.